Atlanta may be falling apart at the seams but that doesn’t mean a true Georgia native loves this southern state any less. 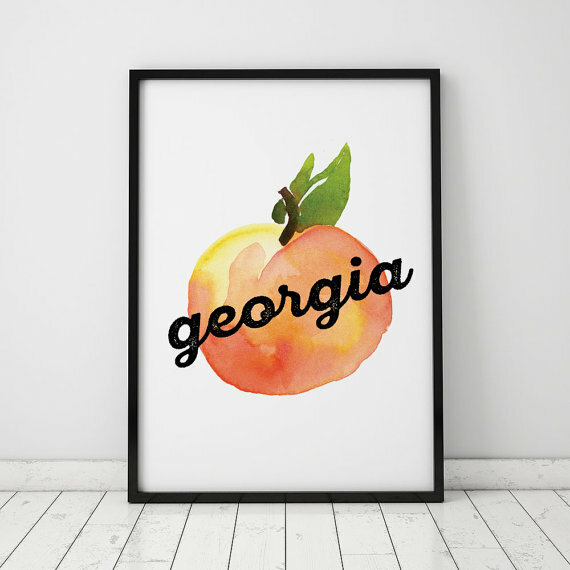 If you’re still proud to say you’re from the Peach State and want to embrace it in every way you can, it might be time for a good old fashion Etsy.com haul. 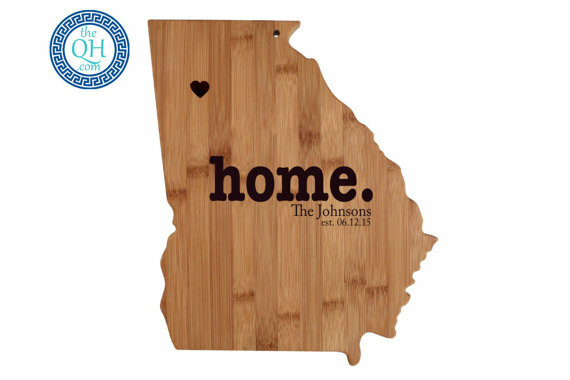 The online home of handmade goods and unique art pieces is flooded with a ton of great gifts and collectibles for those who want a fun way to show off their Georgia pride. 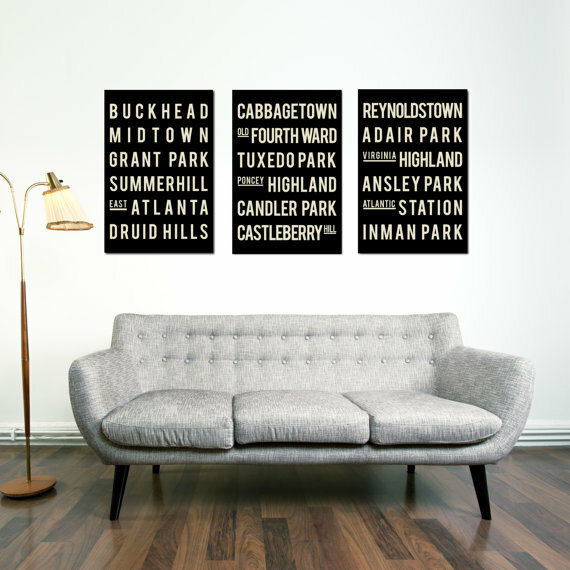 So whether you’re looking for some Georgia-bred apparel or just want to hang your love of a particular Georgia city on your wall, Etsy.com certainly has something you would love. 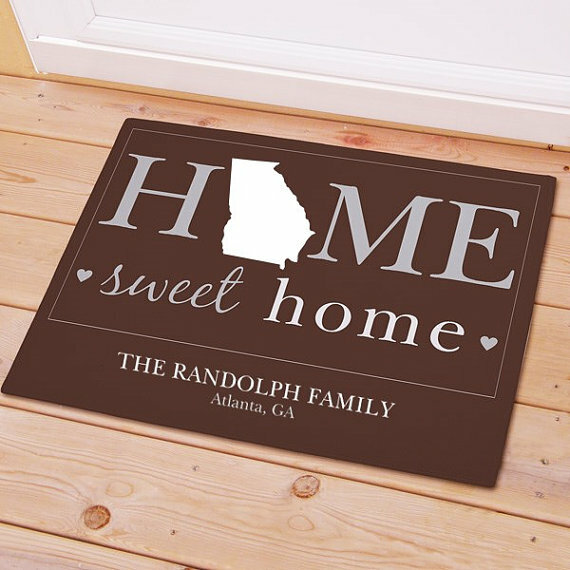 Let them people know you’re from Georgia before they even enter your house with this customizable doormat and its beautiful cursive. Check it out here for only $23.95. As we move on to the living room add a pop of color with this pretty print. This could be a great housewarming gift or you could just keep it for yourself. This watercolor Georgia peach print is only $5.00 just click here. Let’s make our way to the kitchen with this customizable cutting board. Make the name and the date your own and choose from three different formats. This handmade cutting board can be yours for only $24.99 check it out here. 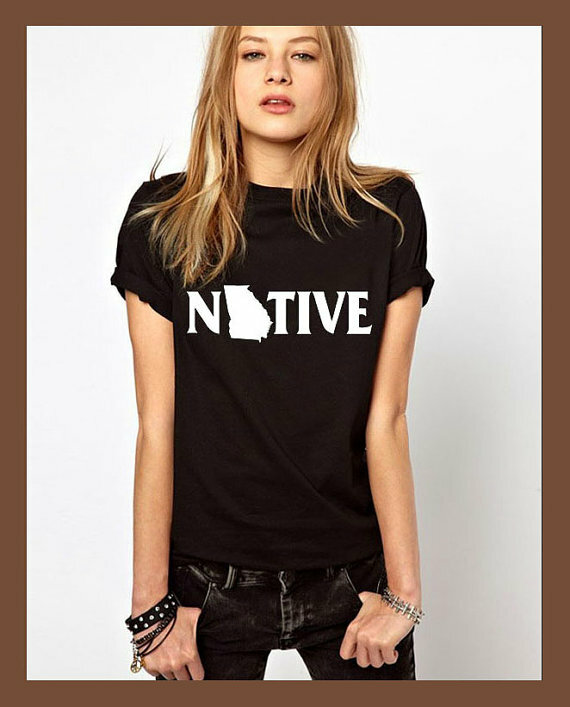 Let you wardrobe speak for you with this Georgia native tee so everyone know where you were born and raised. Never mind that the letter “A” is replaced by a state, it’s your state and that’s all that matters. It’s only $16.99 click here to purchase. If you want to add a unique piece to your personal bar at home or you’re just a beer enthusiast who loves popping beers open anywhere in the house, this bottle opener is a great buy. It looks stunning and has a wonderful distressed look and it’s also perfectly functional to help you open up your beer bottles with ease. 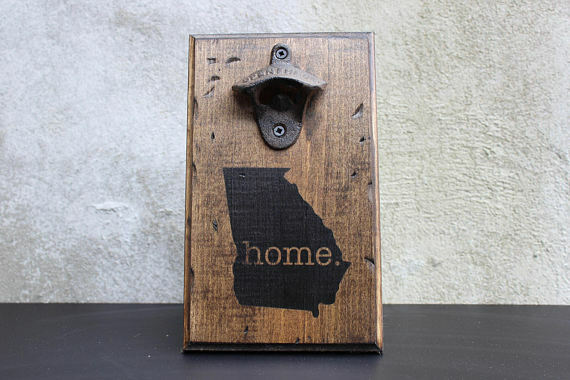 You can embrace your love for Georgia without slapping a giant picture of the state on your wall. If your design aesthetic is all about clean lines and minimalism, this wall art set is the perfect addition to your lovely Georgia abode. Do you BLEED BLUE!? 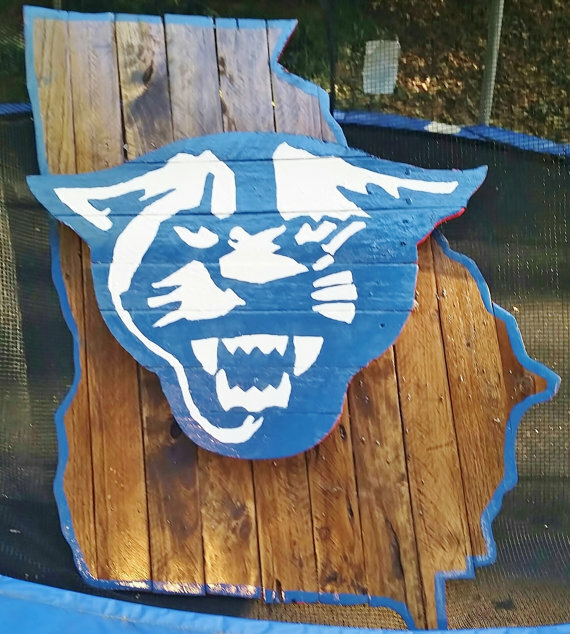 This piece makes a great gift for any proud Georgia State Panther. This unique piece is made from reclaimed wood which guarantees that each and every one is unique. Also, if you aren’t a GSU Panther, the shop offers a ton of other school logo options to pick from. 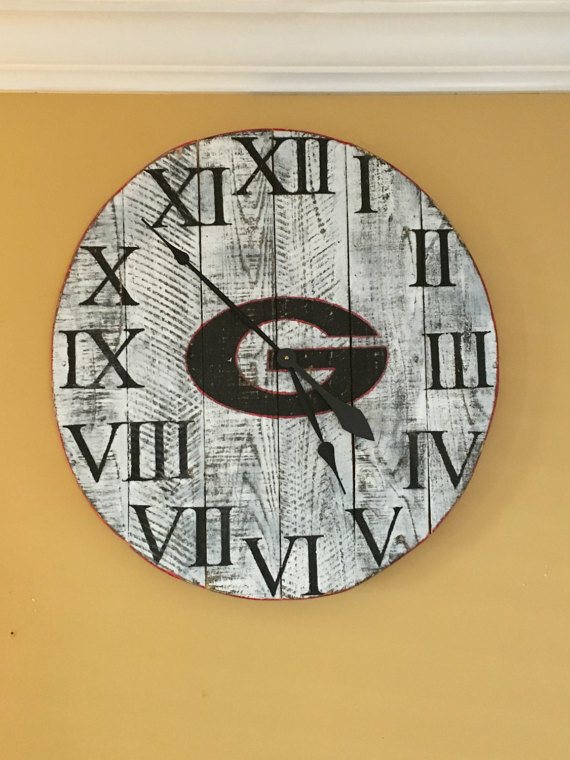 If you’re a UGA student who wants to show off some school pride but would like to have more functionality to your home decor, this wall clock is a must have. It’s another great piece that will always be one of a kind depending on what wood cuts are selected for your order. Anyone who truly appreciates solid woodwork, however, will tell you that natural imperfections are exactly what makes a piece like this so special. The beer movement is on the rise in Georgia with many locally brewed brands emerging and thriving all across the country. 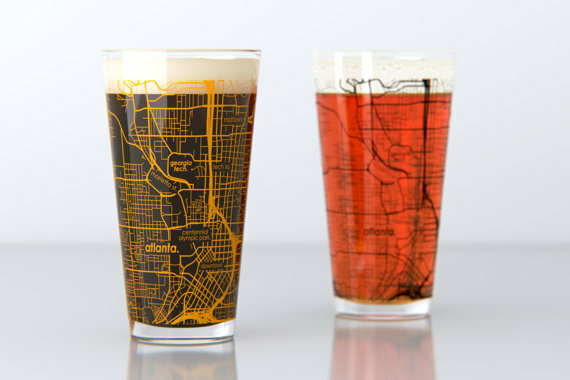 What better way to enjoy the South’s newfound beer culture than sipping your favorite brew out of a Georgia map pint glass? A pair of these 16 oz pint glasses will cost you $28. 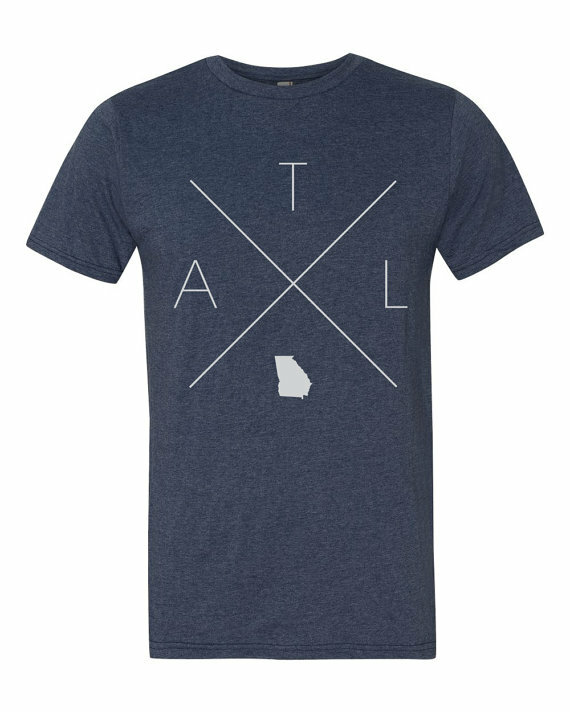 If ATL is your city, show it off with this unisex handmade t-shirt. It’s available in grey, blue, purple, green, and red for only $20.00 click here to check it out. 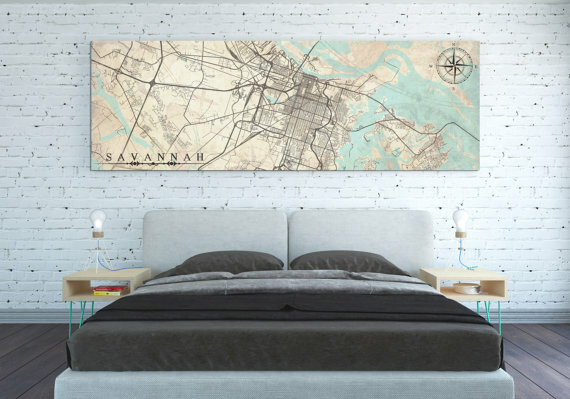 Even if you aren’t from Savannah, you may still find yourself itching to place this gorgeous artwork on your wall. If you can find any reason at all to feel attached to Savannah do yourself a favor and find room for this gorgeous canvas print. The best part is that it’ll only set you back about $50. 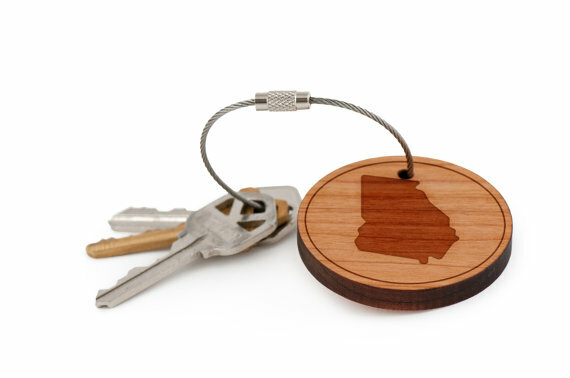 Make sure your car even knows you’re from Georgia with this cherry wood covered key chain. It comes in small, large, and customizable for $12.00 only. It also makes a great gift click here to purchase. If you’re a foodie who loves experimenting in the kitchen, this custom cutting board will make a great addition to your home. 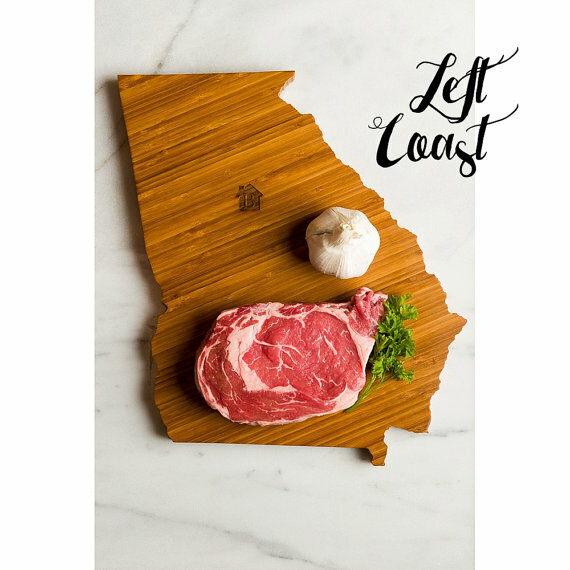 You can add custom engravings to the cutting board like a home or heart so your new culinary tool will always reflect your love for Georgia. The best part is that this cutting board costs less than $50, which is a steal considering the sheer quality of the materials and the complex custom cut. Sometimes celebrating your Georgia pride is less about what you see and more about what you can smell. 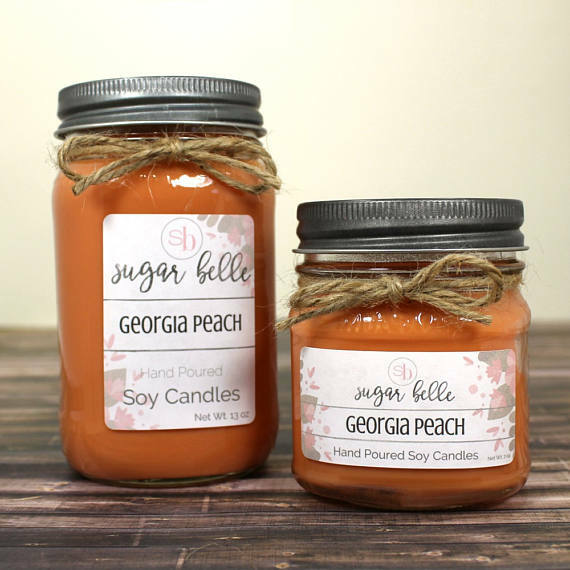 You can have your space filled with the fragrance of Georgia peaches with these lovely hand poured soy candles. So let these awesome gifts be your gateway to shouting your Georgia love for a rooftop. Find more great Georgia merchandise like this on etsy.com.